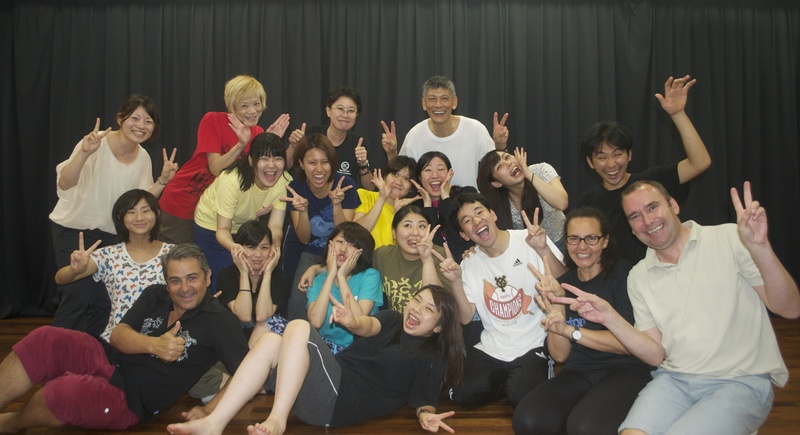 We are thrilled to be returning to Tokyo this summer to deliver a series of workshops on Acting, the demystification of Shakespeare and the art of storytelling through Theatre. Very often, when we think of Japanese Theatre, we either think of its traditional forms such as *Noh, *Kabuki and *Bunraku or we think of high tech, off the wall pieces as demonstrated by a recent blog by Kate Beale. But our journey to Tokyo takes us back to the very core of what Theatre, for us at StoneCrabs, is all about: storytelling and the personal connection an actor has to make with the world of the story in a very special meeting between the objective/want of the character and their own imagination. And this is what we have been asked to bring to Tokyo, a reminder, I suppose, of the humanity of theatre where the actor, the language and the story are the main focus. We have had many meetings where we have discussed, planned and devised games, exercises (some old, some newly conceived) towards exploring Shakespeare’s A Midsummer Night’s Dream (the selected text) with the groups, (we are working with a very young group of actors who are still learning and another group of more experienced actors, some who have worked with us in the past). Our main preoccupation is that the games and exercises we will be using will help us connect with the text in such a way to unlock our imagination and support the creative construction of a new experimental ‘Dream’. Our starting point for the work is always imagery and energy games, as we find that these allow for an interaction that will go beyond language, although language/voice/sound in itself is, for us, very important too – particularly a language that is highly poetic, sonorous and extravagant such as Shakespeare’s; we will play, deconstruct, but we will use the text with the original words. To quote Cicely Berry “The more techno-speak takes over, the more we will disable our belief in language. Words have the power to disturb, surprise, delight and provoke, and they are happening in the moment – and between people.” – which summarises what we are trying to achieve with our work in Tokyo, to demystify Shakespeare and allow us actors, directors, theatre makers to rediscover the power of the word, and how that helps us to create and engage an audience craving for old tales. None of us speak Japanese and the work is carried out through our wonderful translator/assistant director, Ecco-san; Ecco had spent time in London as a theatre practitioner, and this made our work very fluent as with speed, the conduct of our discussions, floor exercises and scene rehearsals were smooth and joyful. However, there might be some nuances and subtlety of language that get ‘lost in translation’, which often resulted in hilarious misconstruction. We are ‘Exploring The Dream’ through the love relationships in the story: Theseus & Hippolyta; Hermia & Lysander, Helena and Demetrius, and Oberon and Titania, and have thrown in a bit of Puck for some fairy cheek. Our actors launched into the work with great aplomb, excited by the playful energy of the text, journeys of the characters and discovering thoughts, objectives, imagery, and the physicality of text and performance. It is interesting to hear in Japanese Shakespeare’s text of iambic pentameter, rhyme, blank verse, intense imagery, in a language that has a very different spoken rhythm and sounds from English, let alone Shakespearean language. In the translation we are working from, much of the rhyme is lost, and certainly the iambic. What to make out of this? So, we concentrated on the ‘meaning’ of dialogue, the description of situations (as by Titania to Oberon of their quarrel), the imagery and its connection to the words spoken; we encouraged the sharing out of thoughts to the audience, and immerse ourselves into a world of magic that reflects the world of humankind. In understanding that when we ‘dream’ of things beyond the clouds, our lives take on the world of Oberon and Titania, are connected by Bottom’s ‘change’ to that world. The time here in Tokyo makes real our ‘dream’ of taking theatre back to its storytelling roots, connecting the personal to the magical, with a little help from our Japanese friends. The weather has been kind to us too: hot sunny days with warm balmy nights, some bento to warm our stomachs and light sushi in the day to keep us going. The process of exchanging ideas, techniques and work continues beyond our time here: as we leave Tokyo – we start reflecting on this ‘dream’ and renewing our plans to continue the work when we return in 2015. I’m not a blogger but I’ve been asked to write a blog. So here I am, doing my best at this task – yet another hat to the collection of hats I’m happy to wear for the love of theatre. Have you ever woken up one morning, jumped out of bed, picked up your diary to discover which hat you’re meant to be wearing today? Will you be fundraising? Teaching? Directing? Producing? Temping? If you have, you’ve probably got the freelance syndrome. It might seem a bit of a brainf*** at times but I’m actually loving it. I sometimes struggle explaining what I do to friends and family who aren’t in the field. I probably give them a sense of panic at the unclarity, (for them) of what I do, but deep down I am loving it. Why? Because it keeps me on my toes, no two days are alike, and most of all it exercises that muscle in our brain so precious to a happy life, I think. StoneCrabs Theatre Company has offered me many opportunities to challenge myself at different roles. Most interestingly is seeing how one role has led to another and yet again to another. As if, all these roles, as diverse as they can be have in some form or shape a common thread. Let’s go back in time a bit. We’re in 2010. Recently graduated, I join the company as their new Literary Associate. There’s a buzz, an excitement from Franko and Kwong, the two Artistic Directors, towards bringing new unheard voices from Europe. 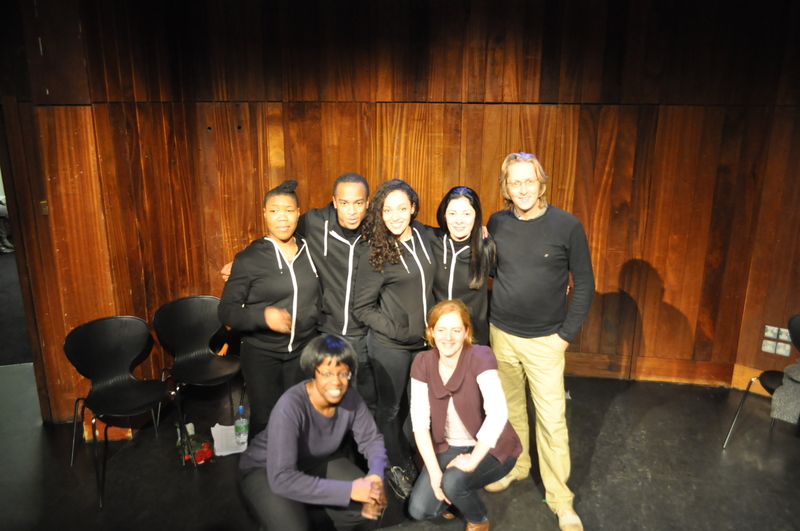 After much reading and discussion, we program a 3-day event at the Soho Theatre; Off The Wall 2010 is created. The idea is simple but effective: we present three major European contemporary plays (unheard in the UK) and pair them up with three commissions of short plays by up-and-coming British playwrights; Bola Agbaje, Lorna French and Rosaline Ting. Three years down the line, all three commissions have developed into full-blown scripts and I find myself involved in all three: directing Rosaline Ting’s Gerbils in a Glass Cage at The Space, acting as a Dramaturge for Lorna French’s City Melodies (recently performed at the Capital Plays Festival at The Mac, Birmingham) and producing Bola Agbaje’s The Burial at The Albany. From one role, three others had emerged. This is just an example, and I’m sure all StoneCrabs’ Associates can share similar developments in their work with the company. Of course, it takes time, commitment and passion to go from one role to another, and quality work is always the main motto. But I love how StoneCrabs Theatre Company embraces its Associates as three-dimensional Creatives who, according to their passion, skills and availability at the time of the project, can pick up different hats, and immediately be respected as such. I think versatility can save us from dead-end routines, from repeating the same successful formulas, from assuming things without knowing and can open up doors we wouldn’t have imagined existed. For a creative team, all this feels so essential. Also, if I am one mind, one body, one heart doing multiple roles won’t all these roles always be in some way related? In my case, I feel everything is always about wanting to tell really great stories and understanding therefore the nuts & bolts in making this happen. Even a temping job, which might at first seem totally unrelated, can be a wonderful treasure box full of characters and stories waiting to be explored. Theatre is all around us after all. 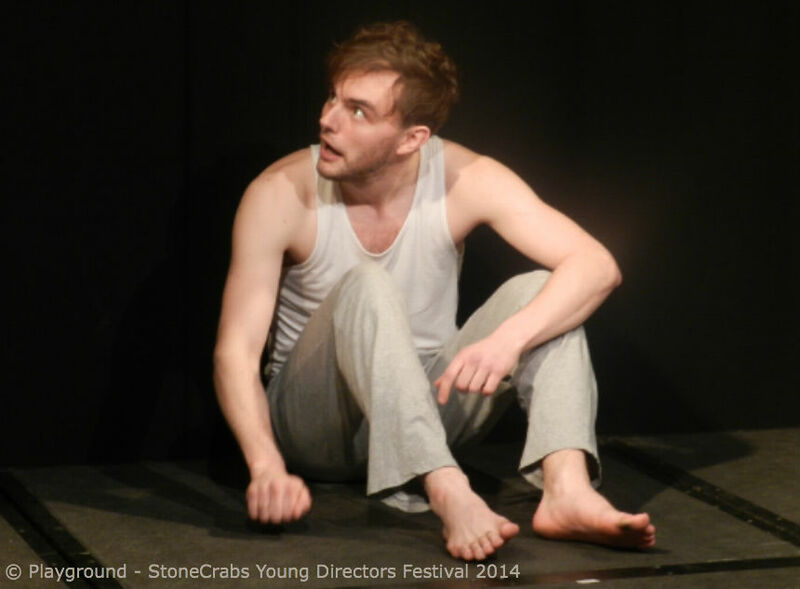 It has already been five years since I took part in the StoneCrabs Young Director’s Training Programme and since graduating in 2009, I have developed my own craft as a Director and have seen other Directors that were on my course excel in their practice and grow as artists. “Mayorga’s language, with its constant threatening subtext, is a real highlight” – The Stage on ‘Nocturnal’ (2009) The course had a strong impact on me, as it gave me the opportunity to develop my directing skills, be aware of the practicalities when working on a play, and most importantly, it was the push I needed to get into the Directing world. 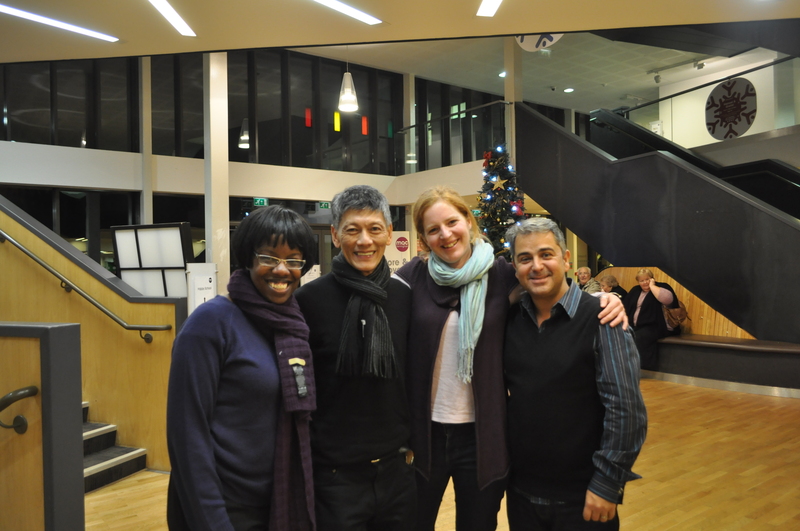 But the best part of the course has been the strong support that the Artistic Directors, Franko and Kwong, have shown me all these years. This year, I managed to get a project, that is very close to my heart, programmed at The Space: ‘Hamlyn’ by Spanish playwright, Juan Mayorga*. And From day 1, (when I was considering venues, making the Arts Council application, figuring out Casting and developing a Marketing Strategy), to now, Stonecrabs have always been there, guiding me and providing me with inspirational support. 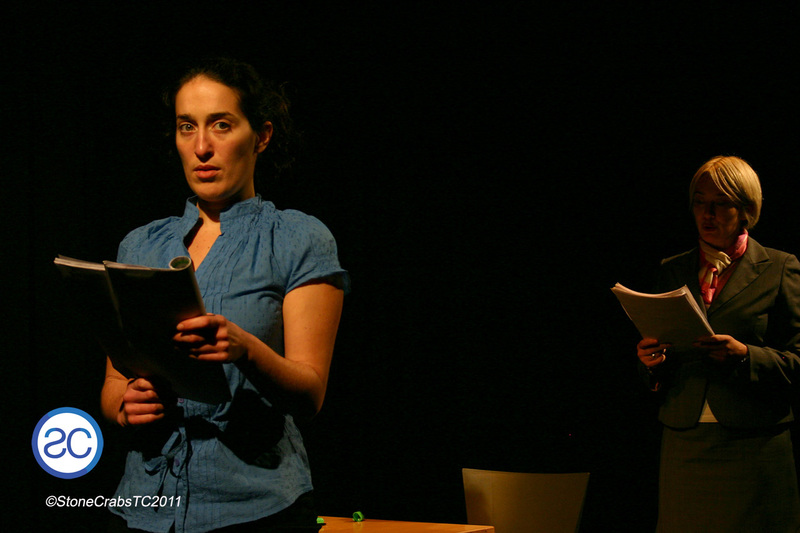 “compelling creepiness…nightmarish power” – The Guardian on ‘Nocturnal’ (2009) ‘Hamlyn’ has won several awards and national prizes in Spain, including Spain’s National Theatre Award. Mayorga’s work is quite new to the UK, until today only his play ‘Nocturnal’ has seen a full production in London and this will be ‘Hamlyn’s’ UK première. Mayorga’s work has been previously described as ‘Theatre Noir’, if such thing exists, his work is most definitely compelling and exciting. ’Hamlyn’ has been on my mind for some time now, and it is thrilling to finally bring it to the British stage. I am currently starting week 2 of rehearsals with an incredible team and a strong passion to share this powerful and engrossing story with an audience. Can’t wait to see you there! After last week’s mind blowing Young Directors Festival ‘Play.ground’, two plays were selected to be developed further and taken to CWCS (Canada Water Culture Space) in a couple of weeks as a double bill entitled ‘Play.ground 2’! After all the excitement, we took some time to have a chat with the two young directors selected, Hattie Coupe and Eleanor Chadwick, to see how they were feeling about this exciting transfer! Stephanie: So how are you two feeling about your show going to CWCS? Hattie: Excited, nervous and very, very grateful. It’s a fantastic opportunity to be able to give this beautiful short play a bigger audience and stage space to really let it breathe and come alive. Eleanor: I am really excited about taking ‘The Man Who’ to CWCS. It is a fantastic chance to develop the piece further with a new space ( a larger venue) and audience in mind. It’ll be interesting to find something new in the piece in such a short space of time – a challenge which myself and the cast are looking forward to embracing. Stephanie: What was going though your mind when the plays that you directed were on stage last week at The Albany? Eleanor: I was hooked by what the actors were doing and the spectator responses. Productions always take on new levels when they are put in front of an audience for the first time, and it was fascinating for me to watch our storytelling unfold and see what worked well, what was gained and what was lost. There were more laughs and audible reactions (even gasps and sighs of sympathy) than I wasn’t expecting, which was great! I hope that in the larger venue we can still create this feeling of intimate engagement with the characters. Stephanie: Are there any aspects of the show you would like to change and/or develop for CWCS? 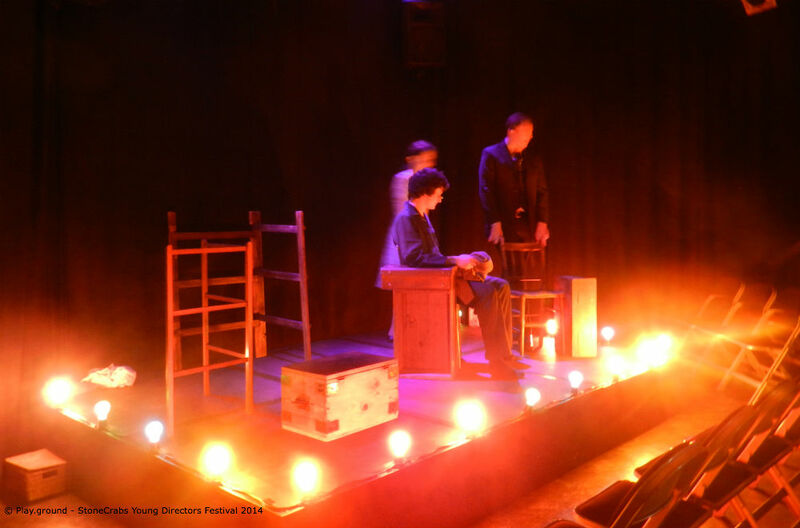 experiment further with technical aspects such as lighting, as we will be given more freedom and a longer technical rehearsal than for the initial Scratch performance, which is a great opportunity. I would like to keep pushing the physical and stylistic elements of the piece, continuing to mature the characters in this way and seeing how we can translate and develop the physical elements for a different, larger space. Hattie: I am keen to explore the social, political and economic framing of the play as I feel the Great Depression has many echoes within today’s society and families recovering after a devastating recession. I am going to be brave and use this valuable time to push the performance to its next level – you will have to come and see the show to see what that is! Overall, I aim to use the next 5 days of rehearsal time to give the play even more depth, fluidity and confidence as a performance. Stephanie: Sounds like there will be some exciting changes to both of your pieces now that you have a much bigger space and more time for rehearsals. I can’t wait to see it! Like what we do? Then why not like us on Facebook and follow us on Twitter! The room is peppered with marker pens and flip-chart paper; we have been brainstorming lots of ideas throughout the week. There have been lots of questions and wonderful discussions about the future of StoneCrabs Theatre Company. It ‘s been over 10 years since StoneCrabs was created, and with many projects under our belt (over 30), planning ahead is just as scary as it is exciting. One thing is certain: we are entering a new phase of our work and we are ready to take bigger risks! 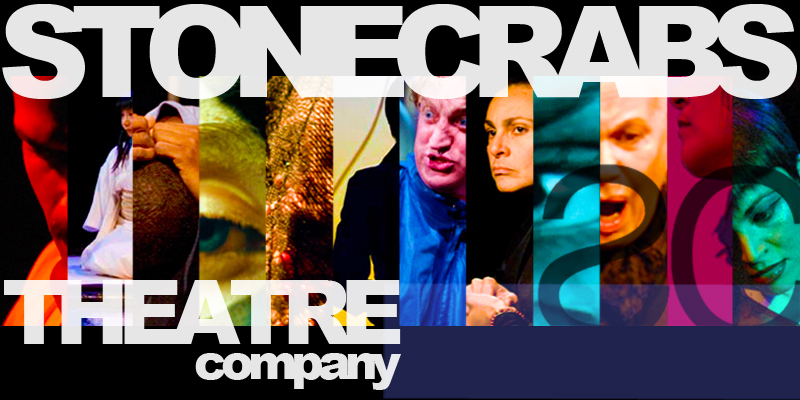 I am often asked if StoneCrabs is a Brazilian Theatre Company. This question frequently crops up, which is understandable. I guess there will always be an overflow/ interest/ usage of Brazilian and Latin American themes in our work, as myself and Tereza Araujo, the founding members of StoneCrabs, are Brazilian. However, Brazil is such a hybrid place, so there will always be a spillage of other heritages into our work. For instance; Bahia, (the Brazilian estate were I am from), has a large community of people originally of Nigerian heritage, which has influenced lots of the cultural aspects of Brazil. 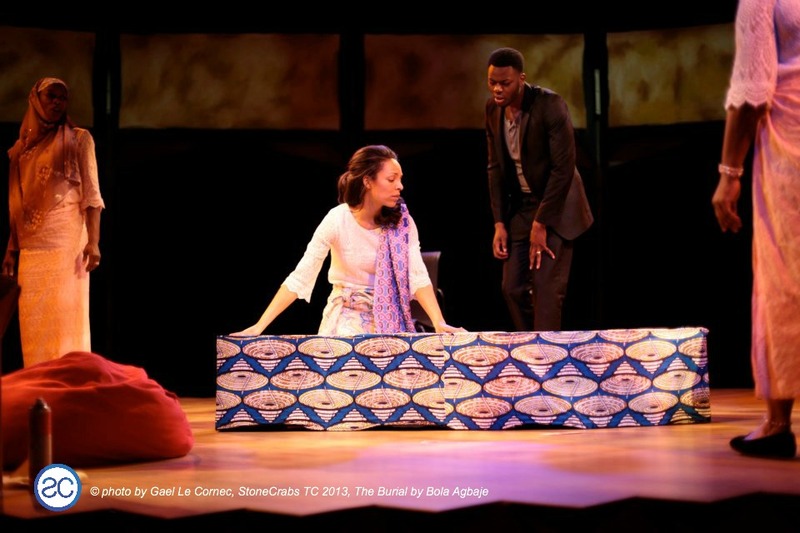 This subconsciously influenced our production of The Burial by Nigerian playwright Bola Agbaje earlier this year. Additionally, going beyond the borders of our originating influences, the company is also led by Kwong Loke who brings East Asian influences, which has also filtered into our work as we have co-produced 4 projects with a company from Tokyo and are about to embark on our 5th. StoneCrabs Theatre Company’s stage language, however, is unique. We are a hybrid, transnational company fusing aesthetics to create work that is visual, exciting and challenging. We are interested in stories of the diaspora created by world artists. 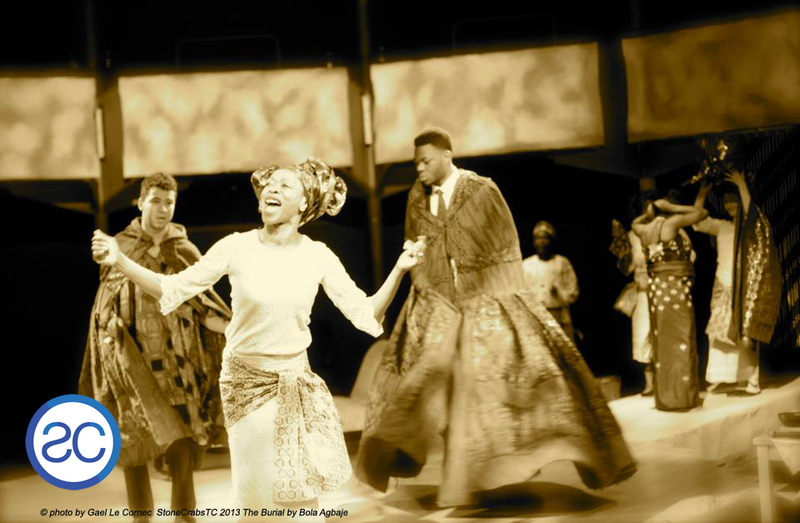 We are interested in using our unique way of working to create theatre beyond borders: Global theatre made local. I, for one, am very interested in the legacy that StoneCrabs will leave behind. With so much coming up; The Young Directors Training Programme now in its 8th year and the Brasiliance Heritage Project in mid-flow, that legacy is being built as we speak! I am so proud of what we have achieved in our first 10 years and cannot wait to reveal the projects that lay ahead! So back to work, the flip chart paper and pen awaits! Watch this space!